Air Jordan is a brand of basketball shoes and athletic clothing produced by Nike. 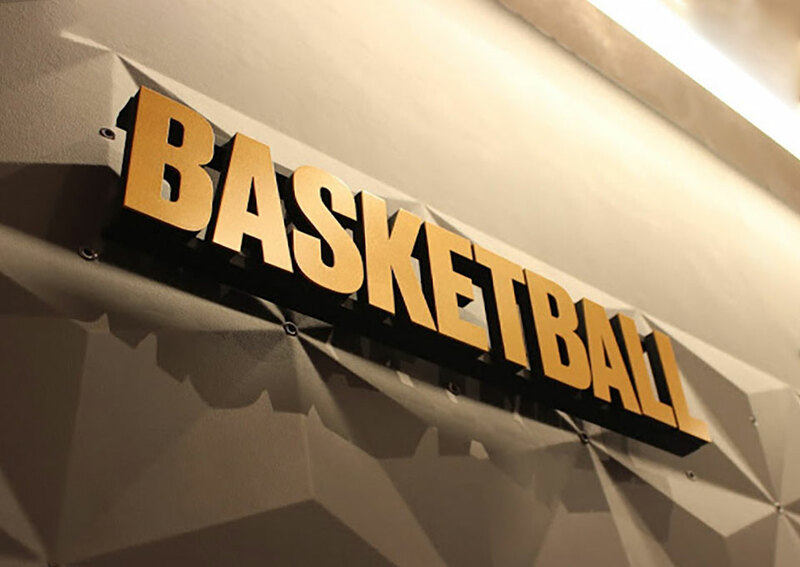 It was created for former professional basketball player Michael Jordan. 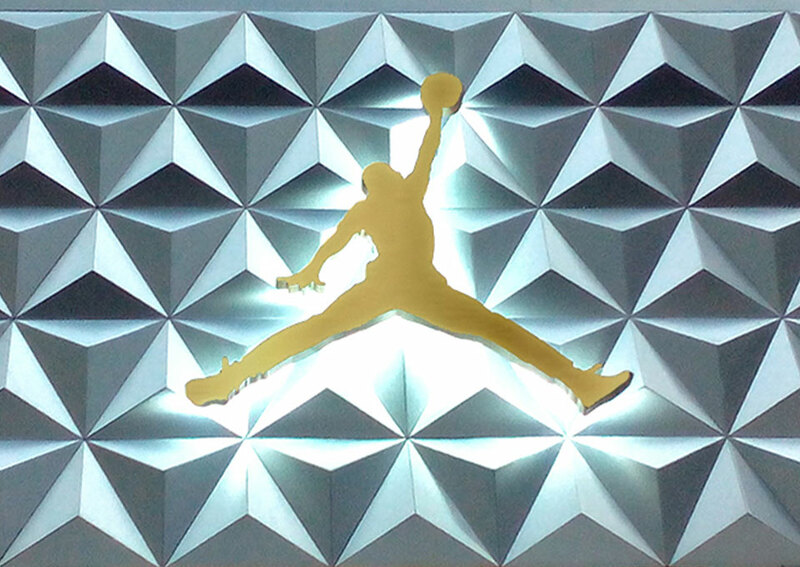 Known among sneaker collectors as the first “luxury” basketball shoe, the silhouette of Michael Jordan served as an inspiration to create the “Jumpman” logo. The branding system included exterior and interior signage, brand wall applications and static merchandising treatments. 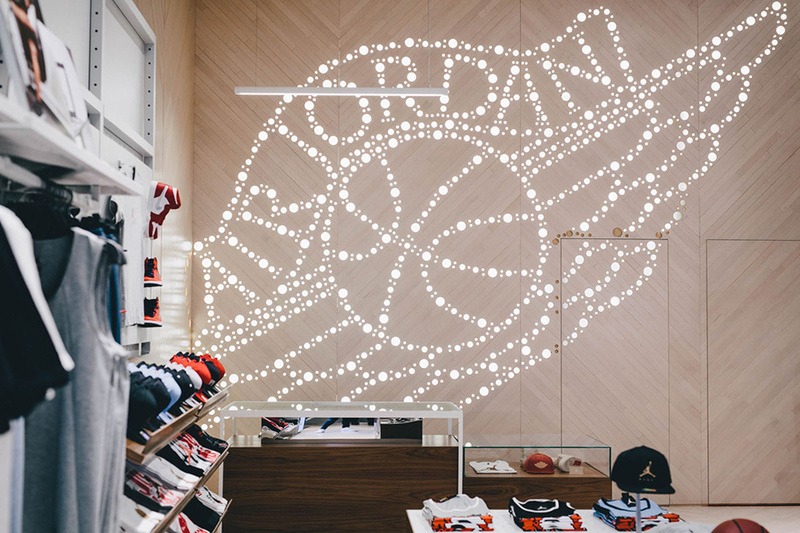 We created a high impact wall mounted display of a ‘Jordan wings’ logo to attract customers to the back of the store and to encourage retail sales. This was made from 31mm gold plated stainless steel rings embedded into a structure with warm white LEDs. 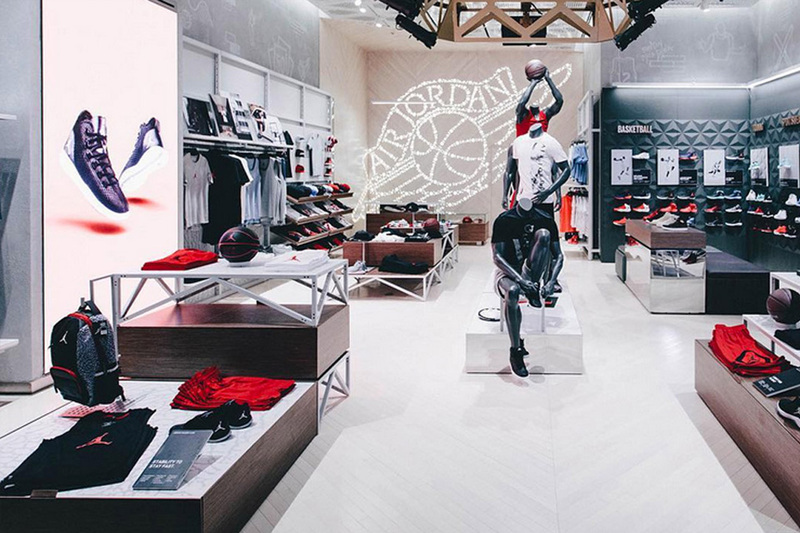 The 4th Air Jordan store in the world opened at The Dubai Mall. Reduced manufacturing and implementation costs.